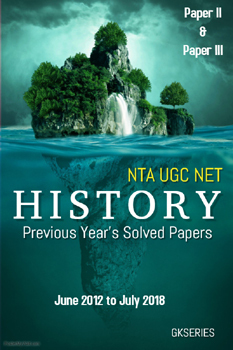 Free download in PDF UGC NET November 2017 History paper II. 1. Which of the following Harappan sites are located in Baluchestan ? 5. Which one of the following inscriptions of Asoka gives an account of ‘Dharmavijaya’ ? 6. What is the gap between the start of the Saka and Vikrama eras ? 7. Which of the following were mint centres of the yaudheyas ? 8. Which of the following monuments is the largest and most evolved chaitya hall of the Hinayana phase ? 9. At which of the following places a Kushan devakula was found where statues of the royal persons were kept ? 11. During the time of Nahapan what was the exchange rate between Suvarna and Karshapana in Maharashtra ? Reason (R) : Assertion (A) : Both Samudragupta and Kumaragupta issued Asvamedha type of gold coins. Reason (R) : They did not mention the performance of Asvamedha in their inscriptions. In the context of the above two statements, which one of the following is correct ? 13.	Who among the following was a Saiva teacher in south ? 14. Which of the following Khajuraho temples are of Sandhara type ? 18. ‘In fact he made Delhi not only the political and administrative centre of the Turkish empire in India but also the hub of its cultural activity. It is worth noting that in the literature of the Sultanate Period Delhi is never referred to merely by its name ; it is called either ‘Hazrat-i Delhi’ (the majestic Delhi ) or the city (shahr). Who is this sultan ? 19. Which of the following is not the compilation of the conversations of the Sufis ? 20. Which one of the following is not the regulation (zawabit) of Sultan Alauddin Khalji’s control of grain prices policy ? (1)	Fixation of the price of the grain by the King. (2)	Storing the royal grain in numerous store-houses. (3)	Not to sell the grain without the prior permission of shahna. (4)	To maintain cheapness of grain during the times of drought, no person should be allowed to buy grain in the least quantity without (proving) need. 21. Use of capstan to lift heavy weights is mentioned for the first time in which of the following text/s ? 24. Arrange the rulers of Mewar in chronological order. 25. Which of the following Sufi saint in his Rushdnama has recited the names of ‘Shri Gorakh’, ‘Alakh Niranjan’ and ‘Omkar’ ? Assertion (A) : The access to the Greek works in the medieval period was achieved through Arabic translations. Ptolemy and Galen remained the fundamental authorities for astronomy and medicine. Reason (R) :	Thomas Roe writes that ‘the “moulaes of mahomet” at the Mughal court knew somewhat in philosophy and mathematics are great astrologers, and can talk of Aristotle, Euclyde, Averroes. In the context of the above two statements which of the following is correct ? Assertion (A) : In the medieval period the madrasas continued to be concerned principally with Muslim theology and its vast literature. Reason (R) :	Much of the higher instructions was undertaken outside the madrasas, by individual teacher who often gave their personal certificates. 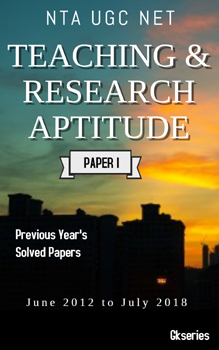 (1)	Both (A) and (R) are true, and (R) is the correct explanation of (A). Assertion (A) : The Sikh dharmasala was the place where the Sikhs sit and engage themselves in praising the lord. Reason (R) :	When Sajjan the thug, submitted to Guru Arjun, a dharmasala was established. In the context of the above two statements, which of the following is correct ? 30. “It had been ordained that the names of the inmates of the seraglio should not be mentioned in public, but that they should be designated by some epithet derived from the place of their birth or the country or the city.” Identify the emperor who introduced the practice of omitting the names of Begums in public ? 31. What is not correct about the Ramdasi panth of Maharashtra ? (1)	The traditional feature of the Ramdasis was their non-political attitude. (2)	Ramdasi panth was strictly composed of Brahmanas. (3)	Ramdasis were more directly connected with the Marathas. (4)	Ramdasis openly supported Shivaji. 33. “The regulation is that favoured servants place the back of their right hand on the ground and then raise it gently ; as the person stands erect, he puts the palm of his hand upon the crown of his head.” In the above statement Abul Fazl is referring to which of the following technique of prostration ? 34. Which of the following Mughal painters are said to have painted self portraits ? 36.	Who established ‘The united Indian patriotic Association in 1888, which had both Hindu and Muslim members ? 38. Which among the following Acts increased the ratio of female voters and gave them reserved seats in legislature ? 39.	Who among the following was the first chancellor of the very first Indian women’s university ? 40.	Who among the following industrialists of the country, were the signatories to the ‘Bombay Manifesto’ of 1936 ? 41. Out of the following which was a powerful tribal movement launched in Guntur district of Andhra Pradesh during the non - co-operation movement ? 42.	Who is the author of Bengali book ‘Kuli Kahini’ belongs to the same type as the ‘Uncle Tom’s Cabin’ ? 43.	Who among the following played an important role in bringing the Muslim League and the Indian National Congress together in 1916 ? Assertion (A) : “India shook off a large part of its political conservatism after increasing entry of women in public affairs”. Reason (R) :	“If by strength is meant brute strength, then indeed is women less brute than man. If by strength is meant moral power, then women is immeasurably man’s superior”. 46. What was not true about the “Statutory Civil Service” introduced in 1880 ? (1)	Appointments were generally limited to young men of good family and social position. (2)	The proportion of this service was not to exceed one - sixth of the total number of covenanted civil servants appointed in any year. (3)	The appointments to this service were to be by nomination. (4)	This service provided an element of finality and did justice to the claims of Indians for employment to higher posts. 47. Which one among the following was not an objective of the non - alignment enunciated by Jawahar Lal Nehru ? (1)	It was in relation to the cold war with its military pacts. (2)	It was against the evil forces of colonialism, racialism and suppression. (3)	It was to promote world peace and work towards disarmament. (4)	It was aimed at building a third block to take on U.S.A and the U.S.S.R.
49. In which of the following year a treaty between Warsaw Pact Countries and NATO was signed declaring that they were ‘no longer adversaries’ signifying the end of Cold War ?